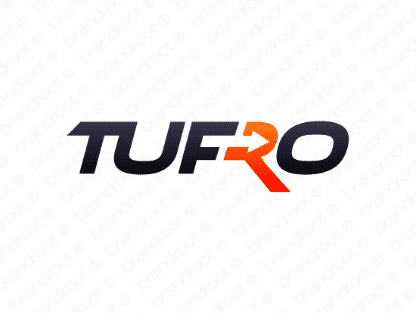 Brand tufro is for sale on Brandroot.com! An attractively sturdy name built upon the word tough, giving it a strong and commanding persona. Perfect for a company whose goods and services demand a robust, durable identity. You will have full ownership and rights to Tufro.com. One of our professional Brandroot representatives will contact you and walk you through the entire transfer process.